Ayur (Life) Veda( Knowledge) is an ancient health care system practised in India for nearly 5, 000 years. Traditional Ayurveda is a holistic approach seeking to examine the causes of ailments such as Anxiety, Arthritis, Asthma, Autism Spectrum Disorders, Body Aches & Pains, Depression, Diabetes, Digestive problems, Eczema, Eye Diseases, Frozen Shoulder, Headaches, High blood pressure, High cholesterol levels, Inflammations, Irritable Bowel Syndrome, Menopause problems, Migraines, Memory problems, Obesity, Parkinsons, Paralysis, Pregnancy difficulties, Rheumatoid arthritis, Sciatica, Skin Diseases, Stress and applying the knowledge gained to rebalance the body mind and soul. At Sampurna Kerala Ayurveda Spa Clinic we follow the traditional Ashtavaidya tradition which has been passed from generation to generation. We offer a treatment process that Holistically rejuvenates the mind, body, and spirit. 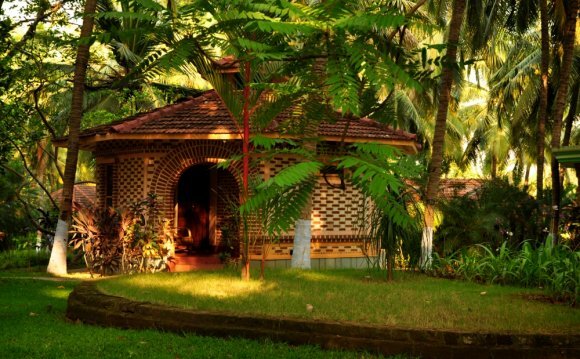 It is a unique experience where you are immersed in the ancient culture, and where a deep understanding of Ayurveda is used at every point of your visit for the most potent healing effect possible. Authentic Ayurvedic treatments penetrate and cleanse the entire body and remove deeply embedded toxins while bringing balance to the body. A comprehensive treatment from a genuine Ayurvedic spa can literally improve your life. At Sampurna Kerala Ayurveda Clinic and Spa, we offer 100% authentic Ayurvedic treatments that are more true to Ayurveda than most of what you will find in Kerala. What is special about these treatments is that they can effectively remove toxins stored in fat, something conventional spa treatments and cleanses have difficulty in achieving.